A Hackathon is an opportunity to stimulate creative problem solving and put ideas into action. For our fourth internal hackathon, we decided to run this as a one-day polish-a-thon. At a fast-paced startup, we spend most of our time designing new experiences and creating new features that sometimes we ignore polishing up what we already have. 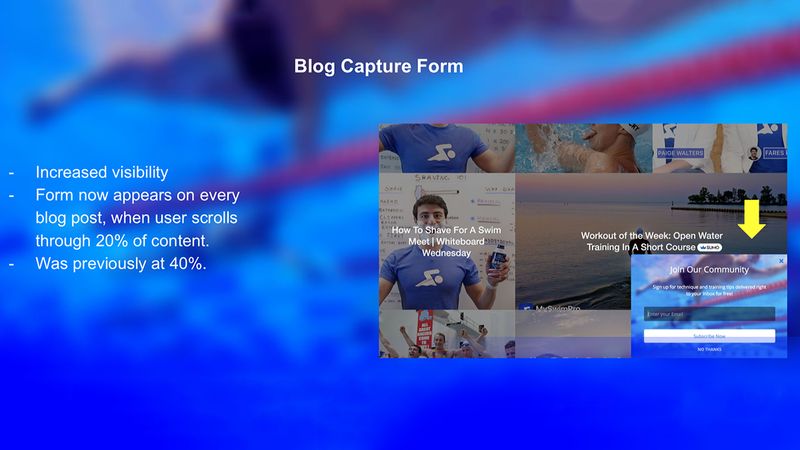 The theme was UX enhancements to our content and the MySwimPro app. Similar to our past Hackathons, we had a panel of external judges that we would present to at the conclusion of the Polish-a-thon. A cash prize and pride was on the line, so we were excited to share what we had worked on with our judges. Before starting, we each created a Design Challenge Statement to focus our time. Modeled after the design thinking methodology. Our experienced startup judges (listed below) discussed our presentations across each of the criteria and decided the winner! Design Challenge Statement: How might we improve social engagement and social interactions within the app? Up until now, the MySwimPro community member search functionality has not worked as well as we’d hoped. 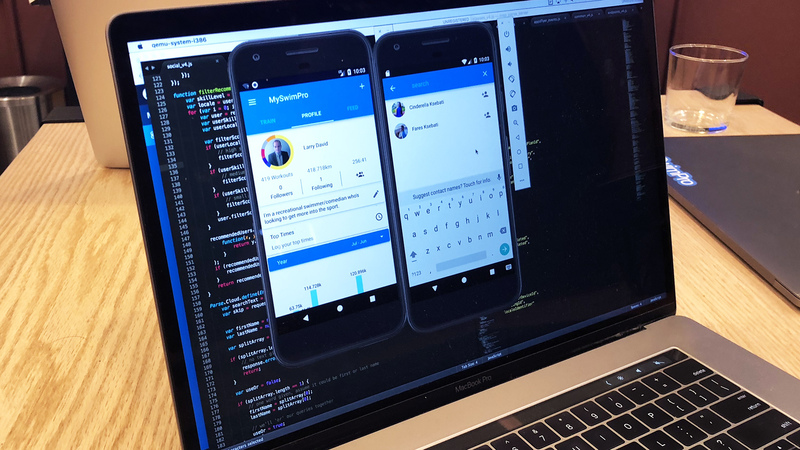 Michael used this polishathon to vastly improve search within the app so that community members could follow their friends and connect with similar swimmers in the app. He also improved the Recommended Athlete section to include more personalized search results using a number of different profile attributes. Design Challenge Statement: How might we improve our dynamic interval algorithm to offer a more personalized coaching experience to MySwimPro premium subscribers? I worked on enhancing one of the app’s most important features: dynamic intervals. This feature personalizes swim workouts so the intervals are specific to the individual swimmer’s speed. It allows every workout to be 100% unique to each community member. I focused on improving the algorithm that generates the intervals and some different ways we can improve this feature’s accessibility and also make sure our premium community members are aware of it. 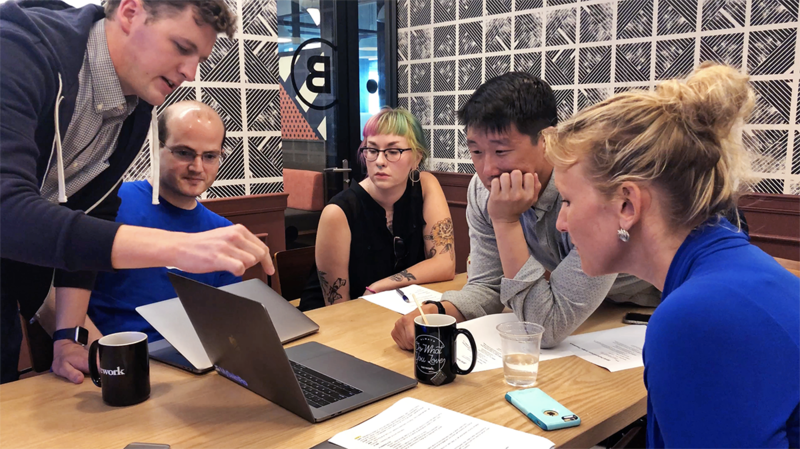 Design Challenge Statement: How can we learn more about our community so we can craft personalized journeys that help them improve their swimming, trust us more, and drive downloads and conversions? Paige laid out a communication and lead nurturing strategy that is focused on learning more about what our members want to achieve with a MySwimPro account. The more we understand our community members, the more we can tailor their experience and deliver the right educational content that’s relevant to their skill level and goals. 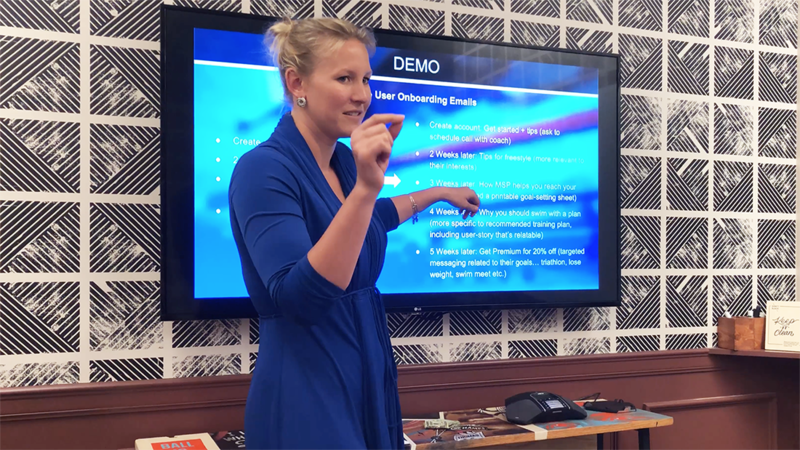 Paige worked to improve our email strategy, lead collection and data segmentation, so that we can have more authentic conversations with our community about how a Premium Membership can improve their swimming. 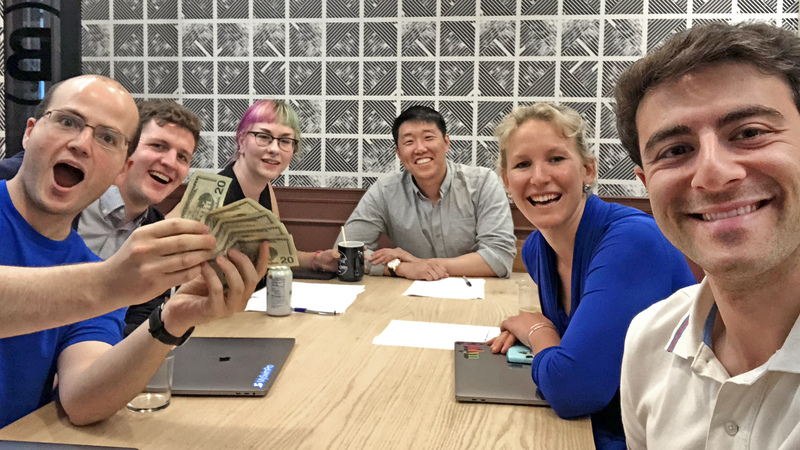 Design Challenge Statement: How might we improve the customer’s first interactions with the app to improve confidence in the quality of our software? 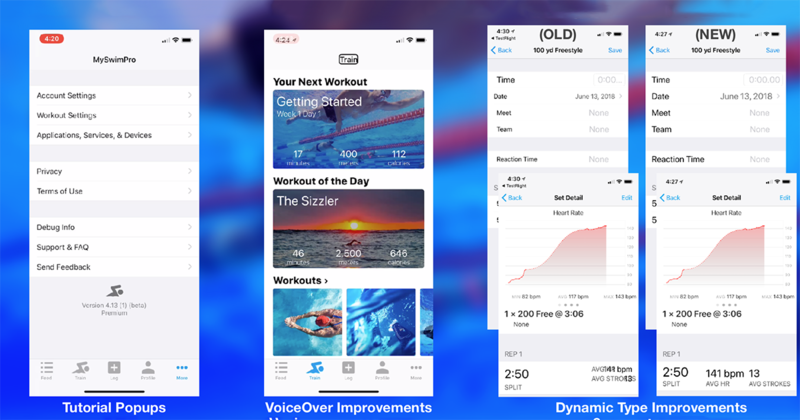 To improve a new swimmer’s experience in the app, Adam redesigned the tutorial popups to be more helpful and attractive. He also worked on improving accessibility in the app by polishing the app’s VoiceOver functionalities, and improved Dynamic Type support, so a swimmer’s preferred text size settings are respected consistently throughout the app. This is a big accessibility win for MySwimPro! Design Challenge Statement: How can we improve social functionality and create positive network effects that encourage and retain more members? Ben offered some ideas on how we can improve the MySwimPro network effect. 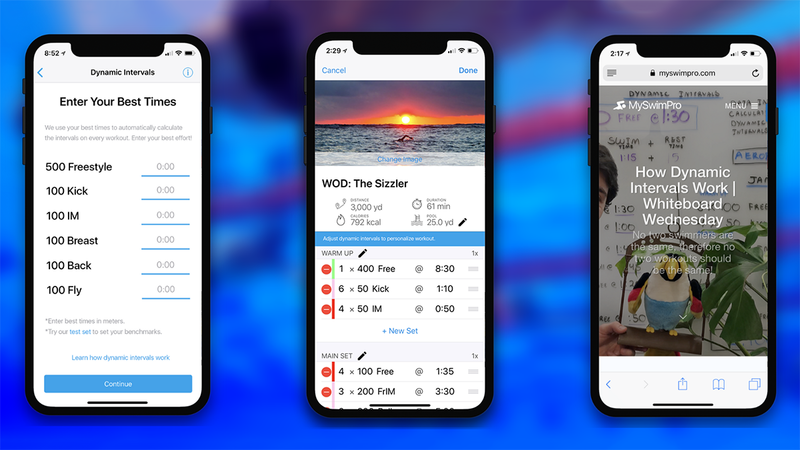 In other words, how can we encourage more social engagement that will have a compounding effect on the number of swimmers using the app regularly. Taking one day to polish our existing product and content was an excellent experience for the team. Hackathons (and Polish-a-thons) really make you focus and test ideas in a time-pressured environment. Our goal is to implement a lot of these enhancements as soon as possible, and some are already in production! If you’re interested in learning more about how we set this up, please email me at fares@myswimpro.com.